Home / Opinion / Retired Judge to Senate on Shielding Trillanes: "Senators, You are at the Height of Extreme Arrogance!" Retired Judge to Senate on Shielding Trillanes: "Senators, You are at the Height of Extreme Arrogance!" Retired Judge and political analyst Mr. Antonio Lubao recently took to Facebook to share a very striking opinion about the recent controversial revocation of amnesty of the most controversial senator himself, Antonio Trillanes IV. The former judge of the Regional Trial Court (RTC) expressed his dismay to Senate for allegedly safeguarding and concealing Trillanes from being arrested. And though Senator Trillanes initially said that he would neither escape nor resist arrest, he later decided to stay in the custody of the Senate and will not turn himself over to the arresting authorities waiting for him and won't surrender. Mr. Lubao then slams the upper house of the bicameral legislature of the country (Senate) and wrote that the latter is now being at the peak of it's arrogance and they should just respect the decision of the government and the judiciary. "MR. SENATORS YOU ARE AT THE HEIGHT OF EXTREME ARROGANCE. RESPECT THE POWER AND INDEPENDENCE OF A CO-EQUAL, COORDINATE BRANCH OF THE GOVERNMENT, THE JUDICIARY! ", he wrote. 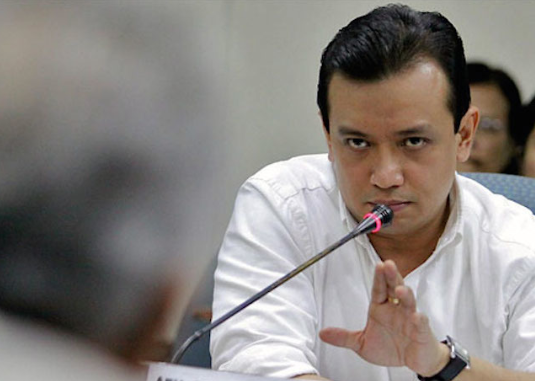 The former judge likewise said that the Senate should not be protecting Trillanes from being captured, thus, if in the event that he will be in the situation of that judge who is handling the case of the opposition senator , he will refer to all officers and legislators who are sheltering him from the scope of the law. 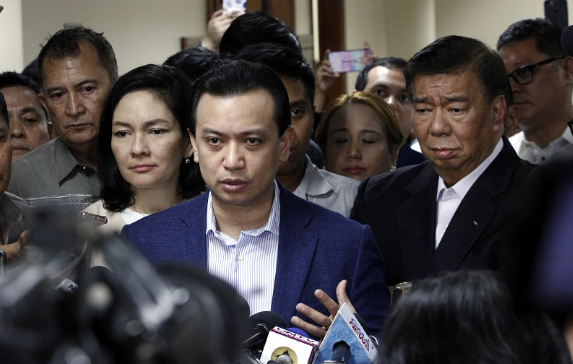 "If it is true that the judge handling the case of Trillanes has already issued a warrant of arrest against him in connection the Oak Wood Mutiny case, the Senate has no business shielding him from being arrested. If I were in the position of that judge I will cite all officers and senators who are shielding him from the reach of the law. ", Lubao said. 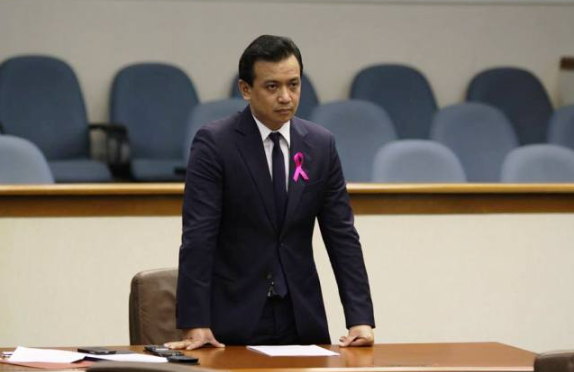 Further, Judge Lubao reprimanded the Senate and exclaimed that these legislators ought not to stop the service of the warrant of arrest of Trillanes on the grounds that he should not be given any special treatment than an ordinary accused confronting a criminal case, culpable with a punishment of detainment. "THE SENATE AT ITS HEIGHT OF EXTREME ARROGANCE!" "If it is true that the judge handling the case of Trillanes has already issued a warrant of arrest against him in connection the Oak Wood Mutiny case, the Senate has no business shielding him from being arrested. If I were in the position of that judge I will cite all officers and senators who are shielding him from the reach of the law. You senators should not and can not prevent the service of the warrant of arrest of Trillanes because he should and cannot be afforded any special treatment than an ordinary accused facing a criminal case. All you have to consider is that Trillanes is facing a very grave crime punishable with a penalty of imprisonment of more than six years. MR. SENATORS YOU ARE AT THE HEIGHT OF EXTREME ARROGANCE. RESPECT THE POWER AND INDEPENDENCE OF A CO-EQUAL, COORDINATE BRANCH OF THE GOVERNMENT, THE JUDICIARY!"